Okay, fishermen in Iceland. You can keep hunting whales—for at least five more years. 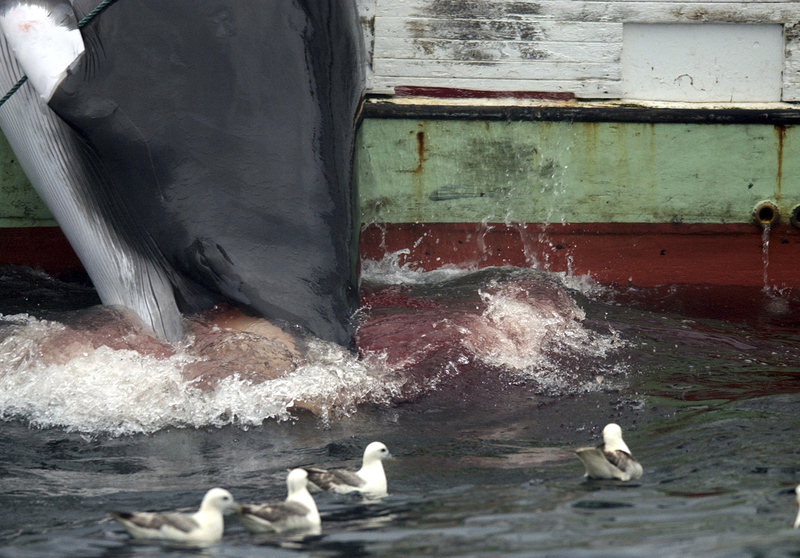 Many Icelanders support whale hunting. But more and more businessmen and politicians say, “No whaling!” They know Iceland needs money from tourism. To get tourism, Iceland must have good relationships with other countries. And officials from some other countries do not like Iceland’s whaling at all. They do not think it is right to kill whales. Iceland has four ships with harpoons (weapons for killing whales). Last year, Iceland whalers killed five minke whales and 145 fin whales. Whaling companies have never killed their full quota since 2006. So people doubt they will kill all the whales the law allows them to in the next five years. Some Icelanders say whaling isn’t worth it anyway. Only a small number of Icelanders work as whalers. Some say those whalers are struggling to sell what they catch. Whalers sell whale meat to Japan, Norway, and the Republic of Palau. Some argue it makes more sense to please countries from all over the world who can send tourists.